You are here: Home / Essential oils / Essential Oils For Weight Loss: Can You Really Lose Weight With Essential Oils? 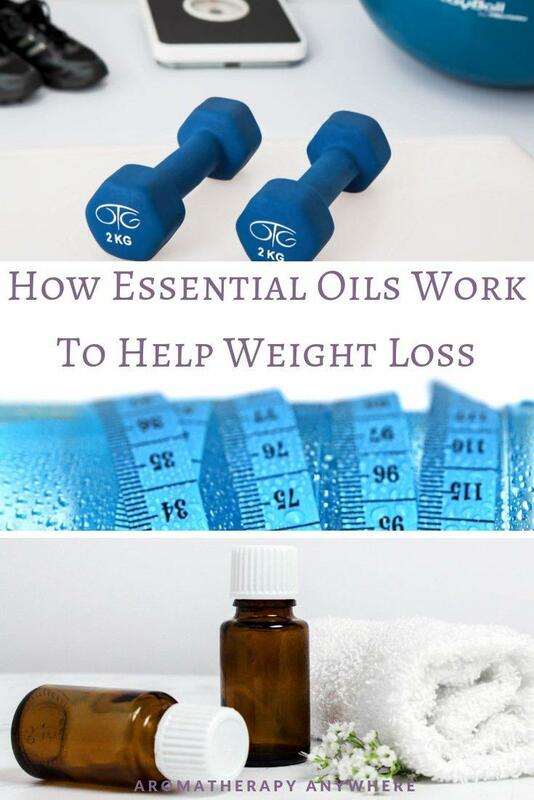 Essential Oils For Weight Loss: Can You Really Lose Weight With Essential Oils? Losing weight typically makes it to the top of most New Year resolution lists, more so because it comes immediately after the holiday season. Stepping on the scales after a festive season spent indulging in large family meals and decadent seasonal delicacies can be disheartening, to say the least. Whether you need to lose just a few extra pounds or seriously go down a few sizes, you resolve to start in the New Year. Unfortunately, you’ve been down this path before. How can you keep your weight loss journey on track and make sure you keep your appetite in check? If sweating it out in the gym is not your scene, you should consider using essential oils for weight loss. I’m sure the first thing that comes to mind when you read this is, do essential oils really work for weight loss? The short answer is yes, you can lose weight with essential oils. Before going any further and talking about how to lose weight with essential oils, let’s back up for a moment. There are a few things you must understand if you decide to use essential oils to help lose weight. 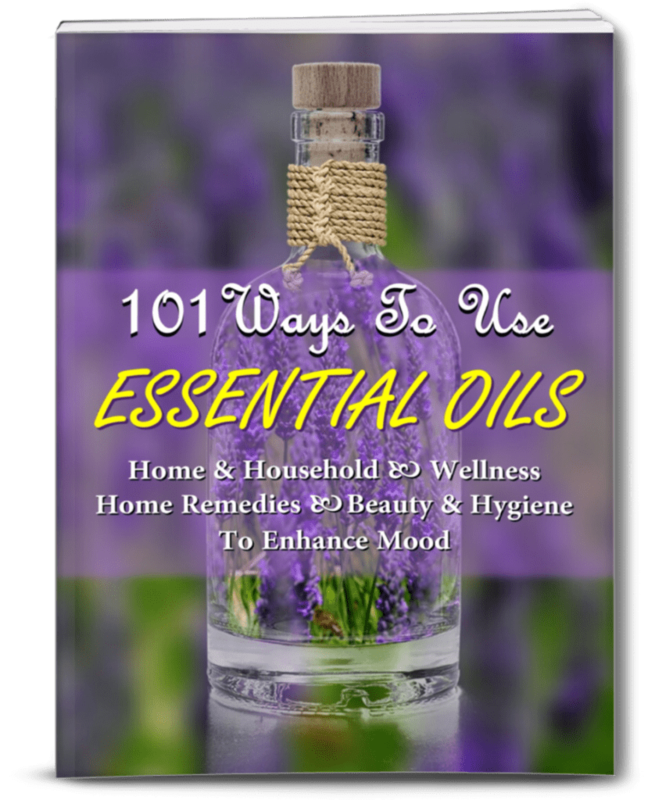 #1 – Using essential oils for weight loss is not a quick-fix solution to burn fat. You will be in for a major disappointment if you are expecting to see results overnight. There is no magic bullet or pill that will simply melt your fat away. If there was, we’d all be showing off our 32-24-32 bods after a month of inhaling essential oils. #2 – You cannot just use essential oils randomly and hope that you will lose weight. You must first learn how to use essential oils for weight loss and more importantly, you must be committed to a long-term plan. Even with the best essential oils for weight loss, it will still take time. It is your appetite and cravings that present the greatest threat to achieving your weight loss goals so gaining control over the battle between your body and mind is key. 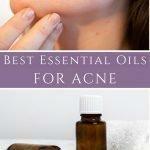 Essential oils do play a crucial role in this aspect. Several studies that have been done prove that certain smells actually cause you to lose weight. Different scents work differently to achieve this end result. Some scents, such as peppermint, trigger the release of serotonin in your brain. Serotonin is a natural appetite suppressant. When you diffuse the air around your dining room table with peppermint essential oil it causes your serotonin levels to spike. This suppresses your appetite and you will find yourself eating less. Other scents actually drive up your energy levels. When you feel energetic you are more likely to stay active, burning more calories throughout the day. This is yet another way that you can use aromatherapy as a weight loss tool. Grapefruit and cinnamon bark are two excellent aromas for increasing your energy and burning fat. Grapefruit oil is also great for dissolving fat and preventing bloating. Considered one of the most effective essential oils for weight loss, the aroma of grapefruit essential oil helps limit water retention as well. The powerful weight loss properties of grapefruit oil are due to the high levels of d-limonene that citrus fruits contain. A wonderful side benefit of grapefruit oil is its natural ability to lower your cholesterol. Inhaling the aroma of lemon is proven effective for combating parasites which live in your intestines and cause weight gain. Lemon oil also helps balance metabolism, increase energy levels and regulate a healthy digestive system. These are all excellent weight loss enhancers. Essential oils have been in use across a variety of ancient cultures for thousands of years – from the Egyptians and Chinese to the Greeks, Indians, and Romans. However, they only became more widely used in western civilizations after a French chemist founded the science of aromatherapy in the 1920s. The oils are taken from a variety of different sources in nature, including the fruit, leaves, seeds, and sap of a plant as well as the roots and bark, too. Each essential oil is unique and has its own healing properties. Grapefruit tops the list of best essential oils for weight loss. This should come as no surprise, considering the Hollywood Diet revolves around eating grapefruit before every meal or snack. It has been a popular fruit in weight loss for decades, and a lot of it has to do with its aroma. The essential oil which is extracted from the fruit’s rind is very effective at burning fat, limiting bloating, and suppressing appetite. Have a drop or two before a meal: Add a drop or two of the oil to a glass of water and drink it first thing every morning. This should give your metabolism a boost thus helping you lose weight. Drink it after a meal: Drinking a glass of water with a drop of grapefruit oil after a meal boosts digestion and prevents bloating. Inhale the aroma of the oil: When you have a sudden craving, instead of reaching out for an unhealthy snack, inhale the aroma of the oil. You can either inhale it directly from the bottle or add a few drops on a cotton ball and breathe deeply. Apply topically: Rubbing a drop or two of the oil on your temples, wrists, and under your nose will also help curb those cravings. Diffuse the oil: Adding a few drops in your diffuser is another great way to use grapefruit essential oil to lose weight. This is particularly useful when you are struggling to resist the temptation to snack late at night. Cinnamon essential oil has powerful anti-oxidant, anti-microbial, and anti-parasitic properties. It also helps fights free radicals and helps regulate blood glucose levels. All of these properties combine to help keep your blood sugar in check thus preventing cravings, over-eating, and weight gain. Adding cinnamon to your meals may also aid in slowing down just how quickly glucose is released which, of course, also helps your weight loss journey. Cinnamon is also effective in curbing cravings and preventing over-eating because of the presence of eugenol, a component that is known to affect neuro-sensory perceptions, which changes how you smell and taste food. Drink it: It’s easy to use cinnamon essential oil for weight loss – simply drink it! Add a drop or two in warm water with raw honey and enjoy this daily. You can drink it before a meal or in the evening when your cravings tend to strike. Use it to flavor various dishes: Cinnamon essential oil is versatile and can be added to a wide range of sweet and savory dishes and drinks from smoothies, to oatmeal, and almost all baked dishes. Inhale directly: Inhaling cinnamon oil directly works particularly well if you are an emotional eater. The sweet, heady scent of cinnamon boosts your comfort levels and improves your mood so do are less likely to seek comfort in food. Use topically: Cinnamon oil should never be used topically in its concentrated form as it is very potent and could cause irritation. Blend 1-2 drops of the oil in a carrier oil such as coconut oil or jojoba oil and rub gently on your wrists and temple to get the weight loss benefits of cinnamon oil. Diffuse the oil: When added to a diffuser, cinnamon essential oil will take you back to your childhood days of home baking. Not only will this make your home smell great but it will also enhance your mood and curb your appetite. Peppermint oil is most commonly used to treat all issues related to the digestive system. It is also known for its ability to relax the abdominal muscles and decrease bloating, which has earned the oil a place in the weight loss world, too. Peppermint essential oil contains a cooling compound called menthol, which improves digestion and expels extra gas from the stomach and intestines. Like cinnamon oil, peppermint too affects neuro-sensory perceptions, which changes how you smell and taste food, making it an ideal option for curbing the appetite and suppressing food temptations. Drink it: A solution of 1-2 drops of peppermint oil to a glass of water acts as an effective appetite suppressant if you drink it 30 minutes before you sit down to a meal. Inhale it: Breathing in the cool aroma of peppermint essential oil can suppress your appetite and induce a feeling of satiety so you are less likely to overeat. Diffuse the oil: Add a few drops of peppermint essential oil in your diffuser and allow it to run throughout the day. The cool, menthol aromas will help boost your mood and suppress food cravings. Like all other citrus oils, lemon essential oil is also extracted from the rind of the fruit. The rind contains limonene, a medical compound known as a natural fat dissolver. A study from the Niigata University School of Medicine found that when the two oils are combined they support the breakdown of body fat, which prevents weight gain. Lemon oil also improves digestion and aids in detoxifying and eliminating toxins that may be stored in the fat cells of the body. Drink it before a meal: Adding a drop or two of the oil to a glass of water and drinking it first thing every morning will boost your metabolism and help you lose weight. Drink it after a meal: Drinking a glass of water with a drop of lemon oil after a meal prevents bloating and enhances digestion. Inhale the aroma: Inhaling the aroma of lemon essential oil instead of reaching out for an unhealthy snack will curb that sudden food craving. You can either take a few deep breaths directly from the bottle or add a few drops on a cotton ball and breathe deeply. Apply topically: Rub a drop or two of the oil under your nose or on your temples to help curb those cravings. Diffuse the oil: Adding a few drops in your diffuser is another way to use lemon essential oil to lose weight. Ginger oil is an anti-inflammatory. By relieving inflammation, it allows your body to digest and absorb nutrients more efficiently, which can play a key role in weight loss. More importantly, your body will get the vitamins and minerals that it needs which provides you with the energy to keep chasing your weight loss goals. According to the Amala Cancer Research Centre, ginger essential oil also contains powerful antioxidants that fight even chronic inflammation. Ginger can help prevent obesity as caused by a diet high in fat, especially when the fat is around the belly. This is because ginger suppresses cortisol levels, which otherwise causes you to over-eat the wrong types of foods. Drink it: Put a drop or two of ginger oil in a cup of warm water and add raw honey or fresh lemon juice. Stir gently and drink any time of the day. Inhale directly: A deep whiff of ginger essential oil suppresses appetite and food cravings. The spicy aroma of the oil is warm and comforting, making it an excellent mood-booster. Rosemary essential oil is as delicious as it is potent and it does more than just flavor that leg of lamb. Studies show that rosemary reduces the level of cortisol in the body. High cortisol levels increase the risk of heart disease and high blood pressure. It also leads to high stress levels, which is a precursor to overeating and to making wrong food choices. Managing your cortisol levels is one way to keep your weight in check. Inhale it: The best way to use rosemary essential oil to lose weight is by inhaling it. You can do this by inhaling directly from the bottle or by putting a few drops on a cloth or cotton ball. People who are caught up in emotional eating know just how much depression and anxiety can play a role in this. Unfortunately, giving in to those feelings may provide you with an immediate but temporary pick-me-up that does not last long. Eventually, the overeating can result in weight gain, dealing a serious blow to your self-esteem. A study from the Kyoto Prefectural University of Medicine has found, though, that 15 minutes of inhaling bergamot will lower cortisol levels and lift your mood. Additionally, University Magna Graecia found in their 2011 study that 30 days of taking the oil orally reduced blood glucose and cholesterol levels. 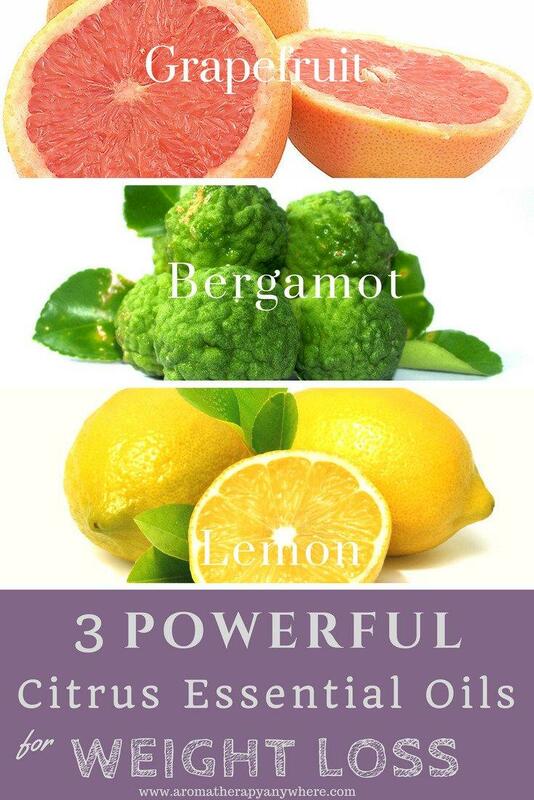 As it turns out, bergamot contains polyphenols, (the compound you may recognize from its presence in green tea) and this helps burn fat and sugar. The citrusy aroma of limonene in bergamot essential oil can help suppress your appetite, so you eat less and lose weight. Inhale it: This most effective way to harness the power of bergamot oil for weight loss is by inhaling it from the bottle. Alternatively, you can add a few drops of the oil on a cotton ball and inhale it. The oil’s appetite suppressing properties kick in, so food will be the last thing on your mind. Add it to your shower: Cover the drain, add a few drops of bergamot essential oil to the floor of your shower cubicle and open the shower. Inhale deeply as the hot water runs down. The steam helps to dissipate the aroma of the oil, leaving you feeling refreshed and re-energized. Lavender is the most popular of all of the essential oils and it might just be the most versatile as well. While all of the essential oils on this list help with weight loss, each of them works differently. Some essentials oils help that help lose weight work by aiding digestion and others work by suppressing appetite or keeping cravings at bay. Lavender’s effect is different from all of the others. Persistently high levels of stress, anxiety, and depression are some of the biggest contributors to weight gain in our modern society. Inhaling lavender’s soothing aroma alleviates all three negative emotions and induces feelings of calm and relaxation. When you feel more relaxed, you are less likely to overeat mindlessly. Lavender essential oil also helps weight loss by reducing the levels of cortisol, the hormone that is responsible for forcing your body to hold onto its excess fat stores. Inhale it: You can either inhale the scent directly from the bottle or from a cotton ball or tissue with few drops of the oil. Diffuse the oil: When you add a few drops of lavender oil to your diffuser, the soothing aromas envelop you, making you feel less stresses, more relaxed, and less likely to give in to your temptation to eat. Sandalwood essential oil is another excellent option for anyone who is prone to emotional eating during stressful situations. It can help bring about a sense of calm and relaxation thus suppresses negative feelings. That pleasing woody scent creates a natural therapeutic effect to the brain’s limbic system, which is the part of the brain that controls emotions such as anger and pleasure. Using sandalwood essential oil to balance your mood and emotions will ensure you feel good, making it easier for you to achieve your weight loss goals. There are three options on how to use sandalwood in your weight loss journey – you can inhale it, you can diffuse it, or you can go ahead and apply it topically. Looking for a way to reduce stress? Check! Desperate for relief from mental fatigue? Double check! In desperate need of weight loss assistance? Hold on to your hats because due to its efficiency with the first two, eucalyptus oil is the ideal tool to aid you in your weight loss journey. Inhale it: A quick sniff can save you from giving into your cravings by giving you an invigorating boost. Inhaling it is the most efficient way to harness its power – just have a sniff as and when you need it, particularly when you feel a craving upon you. Add it to your shower: Alternatively, you can add it to your shower to start your day off right. Tapped from the resin of a Somalian tree, frankincense oil is effective in calming anxiety, which of course can be the trigger for overeating. More than that, though, it also aids digestion, which can prove helpful for weight loss. Inhale or diffuse the oil: You can inhale it as with the majority of the oils listed above or choose to add drops of it to your diffuser. Either way, it works! A few years ago, a British newspaper ran a story claiming that smelling jasmine has the same calming effects as taking valium. The science is still out on that strong claim; however, we know that jasmine essential oil does have a calming effect. It has been used to treat anxiety, depression, and insomnia. Therefore, it’s an excellent choice when it comes to controlling cravings and fighting for weight loss. Inhaling jasmine oil is helpful, particularly if you do so before you eat. While you can inhale it at any point, you feel anxious or you have a craving, doing so before you eat should help prevent overeating. You can add it to your diffuser (in addition to some grapefruit oil) to boost your mood and relieve cravings. This appetite suppressing essential oil can also help prevent you from overeating. Of course, it also packs a vitamin C punch and serves up serious antioxidants. Putting a few drops of orange essential oil is a great way to boost your mood and help keep your spirits high to avoid emotional eating. This is ideal to inhale as it acts quickly to leave you feeling energized. However, you can also add it to water and enjoy the glass before a meal. The earthy and sweet scent of fennel essential oil helps curb your appetite and also improves sleep, and digestion. It just happens to contain melatonin, which is known for regulating your body’s circadian rhythm. As with all essential oils, it is imperative that you are purchasing therapeutic-grade oils as these are completely pure, toxin and additive free and totally undiluted. If you cannot get your hands on therapeutic-grade oils, you should avoid taking it internally as it is not recommended by the FDA. The bottle should indicate that the product you are purchasing contains 100% pure essential oil and that includes listing the scientific name of your ingredient. For example, Citrus Paradisi is what should be listed on grapefruit essential oil – if the bottle says fragrance then you aren’t buying the real deal. Only use therapeutic grade when ingesting essential oils. The label on the bottle should state that it contains 100% pure, therapeutic grade essential oil. Please note that essential oils are incredibly powerful and while yes, they are natural, there will be people who experience allergic reactions. Before you start regularly using a new essential oil do a skin patch test on your leg or arm to ensure you aren’t allergic. Of course, the most effective way to manage your weight is through regular exercise and eating a healthy diet. However, we all need a helping hand and essential oils have shown to be an effective complementary tool. Remember, though, we are all different and what works for you might not work for your friend – so you may need to try a variety of essential oils before you find the one that works for you. Additionally, you may find certain methods are more effective for you – so before you write off an essential oil try taking it orally (if it’s one for ingestion), in the diffuser, shower, or through inhalation. Your body may respond better to one of these methods better than the other – cycle through each of them before you move on to a different essential oil. If it’s anxiety that fuels your weight then choose an oil that corresponds to that. Don’t be disheartened if the first oil you try isn’t the right oil – keep pushing till you find one that works best for you.